In front of a sold-out crowd, 2016 World Champion Cooper Davis (Jasper, Texas) won Round 2 of The 25th PBR: Unleash The Beast, First PREMIER Bank/PREMIER Bankcard Invitational at the Denny Sanford PREMIER Center in Sioux Falls, South Dakota on Saturday night. With just his second 90-point ride of the season, Davis rode Nailed (Broken Arrow Bucking Bulls) for 90.25 points. The No. 9 ranked bull rider in the world standings is a mere 750 world points behind current world leader Ramon de Lima (Sao Paulo, Brazil). The round win was Davis’ first since winning the championship round in Chicago in January. For his effort, he earned 100 world points and a $3,580 paycheck. Brennon Eldred (Sulphur, Oklahoma) brought the crowd to its feet with an 89-point ride aboard Twinkle Toes (Broken Arrow Bucking Bulls) for the second-place finish. The ride pushed him two spots higher in the world standings from No. 19 to No.17. Eldred earned 60 points toward the world standings and $2,750. He is one of only three riders to have covered both bulls so far in Sioux Falls. Claudio Montanha Jr. (Ribeirao dos Indios, Brazil) took third place on Saturday night with an 88.5-point ride. 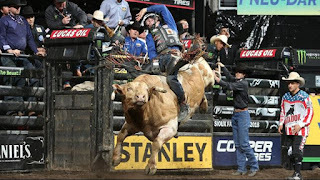 The Brazilian cowboy rode Stunt Man Ray (Broken Arrow Bucking Bulls) to move him from No. 4 in the world standings to tie for No. 3 with Cody Nance (Paris, Tennessee). Montanha Jr. took home 50 world points and $2,000. Canadian Dakota Buttar (Kindersley, Saskatchewan) electrified the arena with an emotional ride for 87.5 points. He earned 40 world points and $1,300 aboard Clover Mountain Beau (J&C Cattle Company). Buttar’s fourth-place performance helped him climb two spots from No. 18 to No. 16 in the world standings. 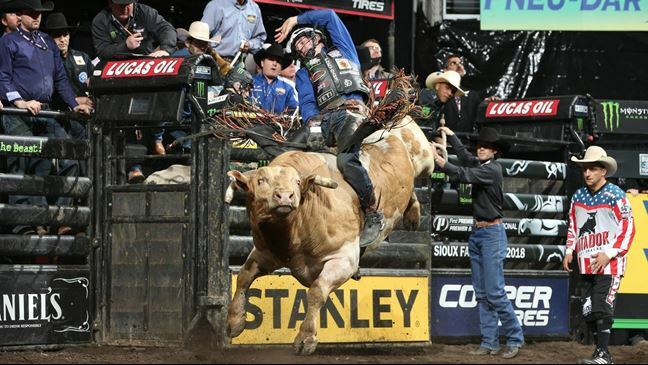 In a tie to round out the Top 5, Eduardo Aparecido (Gouvelandia, Brazil), three-time World Champion Silvano Alves (Pilar do Sul, Brazil) and two-time World Champion J.B. Mauney (Statesville, North Carolina) recorded identical 87-point rides. Aparecido rode Coopers Comet (Broken Arrow Bucking Bulls) to maintain his hold at No. 5 in the world standings, while Alves covered Catfish John (Dakota Rodeo- Chad Berger/Clay Struve/ Miller) to maintain his rank at No. 25 in the world. The arena erupted as Mauney made the eight aboard Rocket Man (Dakota Rodeo/ Chad Berger/ Clay Struve/Heald Pro Bulls) to climb two spots in the world standings to No. 27. Each bull rider took home 16.66 world points and $633.33. The best bull riders in the world will return to the Denny Sanford PREMIER Center on Sunday, April 8 for Championship Sunday and Round 3 of the First PREMIER Bank/PREMIER Bankcard Invitational. 1. Jose Vitor Leme, 89-0-0-0-89.00-100 Points. (tie). Cooper Davis, 0-90.25-0-0-90.25-100 Points. 3. Brennon Eldred, 85.25-89-0-0-174.25-62.5 Points. 4. Jess Lockwood, 87.75-0-0-0-87.75-60 Points. 5. Claudio Montanha Jr., 0-88.5-0-0-88.50-50 Points. (tie). Nathan Burtenshaw, 86.75-0-0-0-86.75-50 Points. 7. Kaique Pacheco, 86.25-84.75-0-0-171.00-40 Points. (tie). Dakota Buttar, 0-87.5-0-0-87.50-40 Points. 9. Emilio Resende, 85.75-0-0-0-85.75-30 Points. 10. Eduardo Aparecido, 0-87-0-0-87.00-16.66 Points. (tie). Silvano Alves, 0-87-0-0-87.00-16.66 Points. (tie). J.B. Mauney, 0-87-0-0-87.00-16.66 Points. 13. 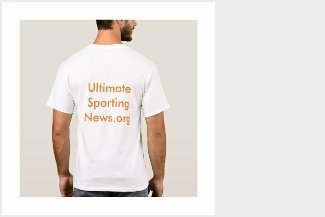 Fabiano Vieira, 85.5-0-0-0-85.50-15 Points. 14. Lucas Divino, 85.25-85.5-0-0-170.75-2.5 Points.